That’s Me! It’s Pure Joy Watching the Dogs Play During the Airbnb Experience in Berlin – Walk with the Dog-Whisperer. Thank You Thomas Dornbusch of Hunde-Mobil for the Photo and Walk! 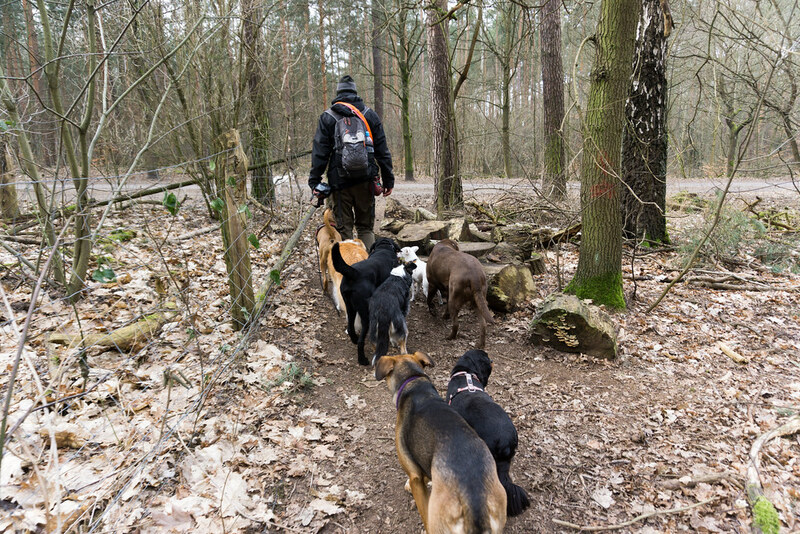 Thomas Dornbusch of Hunde-Mobil and Some of His Pack During my Airbnb Experience in Grunewald Forest in Berlin, Germany, March 6, 2018. I met up with Thomas Dornbusch of Hunde-Mobil, a dog walking service, through Airbnb Experiences. 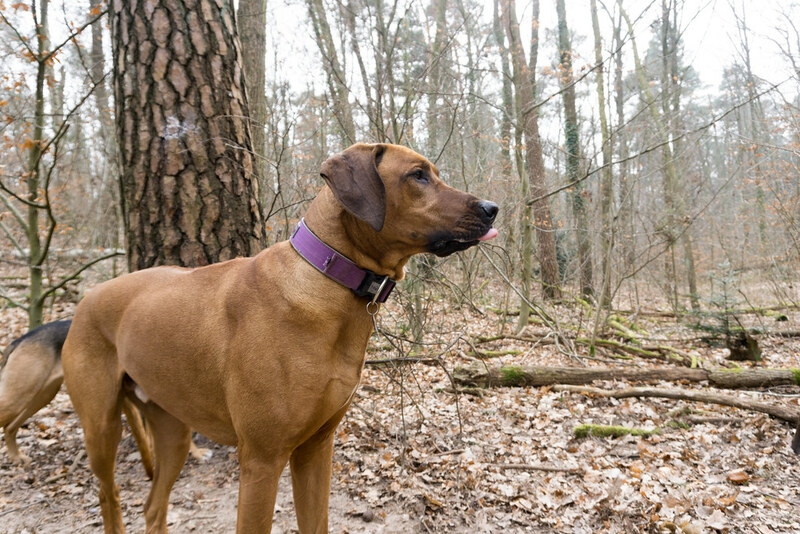 Thomas is a professional dog walker and trainer and walks a pack of 15 dogs each day in the Grunewald Forest in the west side of Berlin. Some of the dogs are with him daily, some are with him only two days a week while others are only three days a week. Basically, the pack varies each day. This is a dog-friendly area where dogs can run free off the leash. 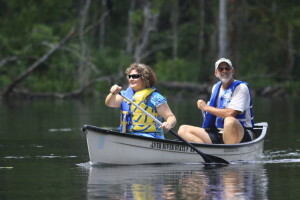 This experience is limited to two people and the other person who registered was not able to make the trip so it was just me, Thomas and 15 dogs. This Dog Looks Like a Loner But is Protecting the Back of the Pack. My Airbnb Experience in Grunewald Forest in Berlin, Germany, March 6, 2018. Only one dog is Thomas’s and the others belong to individual clients. She’s the alpha dog because she has the strongest personality after spending time on the streets of Sarajevo. Each morning, he picks them up and they find their place in his van. The hounds barked and wiggled with excitement as they piled out of the van. Thomas called out their names as they jumped out. The pups ranged in size, from a small terrier mix to a Rhodesian ridgeback, and age, from 2 to 12 years old. Each has their own personality, story, and role in the dog pack. Songbirds sang during this chilly March morning while we walked through the woods and I watched in awe how the canines obeyed Thomas’s every command, especially since none of them were on a leash. When he called them over, they stopped what they were doing, ran over, and took a seat in front of their human leader. 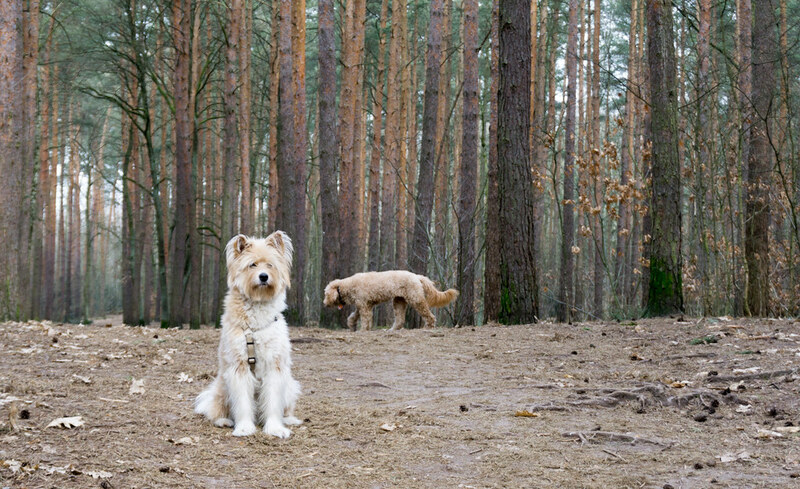 Thomas told me Berlin has more than 130 professional dog walkers and it’s common to meet some of them during a walk in Grunewald Forest. When the pack met another pack, the alpha (or lead) dog greeted the alpha dog of the other pack to ensure all was okay. Individual dogs within the pack greeted each other while passing through then carried on with the walk. Two dogs stayed close to me during the three-hour walk and it turns out, their job is to stay in the middle of the pack and keep the pace. Two dogs seemed to be loners and were always behind us. “Are they loners?” I asked Thomas. This Is Probably My Favorite Photo of the Experience. This Dog Looks Like a Loner But is Protecting the Back of the Pack. My Airbnb Experience in Grunewald Forest in Berlin, Germany, March 6, 2018. The alpha dog leads the pack and there are a couple of other dogs who stay in front as the leaders. Thomas explained the duty of those dogs that looked lonely is to protect the pack from any threats that may come from behind. Do I Have What it Takes to be a Dog Whisperer, Too? After watching Thomas work his Jedi-like obedience magic on these pups, it was my turn. First, he gave me a handful of dog treats to toss and share with the doggies so they would associate me with good things. Next, he instructed me to call to the dogs. This is What This Dog Thought of My Lame Call. My Airbnb Experience in Grunewald Forest in Berlin, Germany, March 6, 2018. A few dogs looked at me, and maybe one showed up at my side, but, politely, Thomas basically told me my call was lame. And, I admit, my call was lame. It lacked enthusiasm and I didn’t give the dogs a reason to come to my feet or even within my sight. Commanding obedience from dogs is not an easy task, and many training techniques are very difficult for trainers to acquire. After a few minutes, I tried to restore my dignity and called out more enthusiastically and peppy and it worked! Four out of 15 dogs came to see what the commotion was about. Words matter but even more important is tone, almost like communicating with someone who does not speak your language. Although you may not speak the same language as someone else, you find a way to communicate. Much like me getting by in Germany. Tone and body language matters. Thomas Dornbusch of Hunde-Mobil Definitely Has a Way with Canines. My Airbnb Experience in Grunewald Forest in Berlin, Germany, March 6, 2018. Watching and listening to Thomas, I took what I learned and attempted a couple of obedience exercises. One with placing a treat behind me then sternly telling the dogs “no.” I used my body, and not violence, to block them. 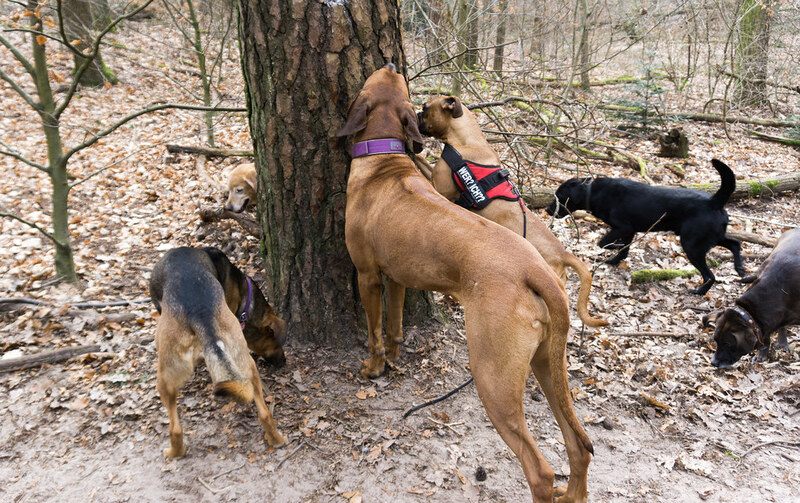 The other exercise involved placing dog treats in the nooks and crannies of tree bark while keeping the dogs away. Well, I wasn’t very successful because these dogs were quick! Especially Bella the boxer. As the three-hour walk wrapped up, we headed toward the car, with a stop for some of the dogs to play on the ice of a frozen pond. 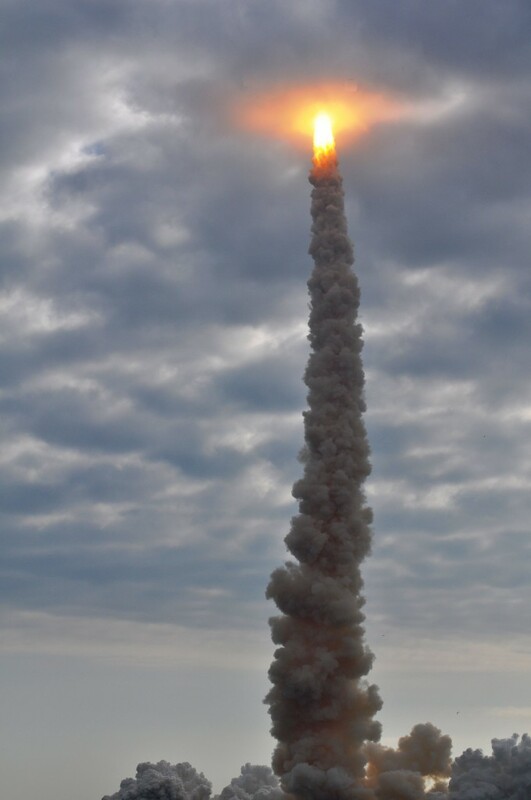 What I had just experienced was pure magic. 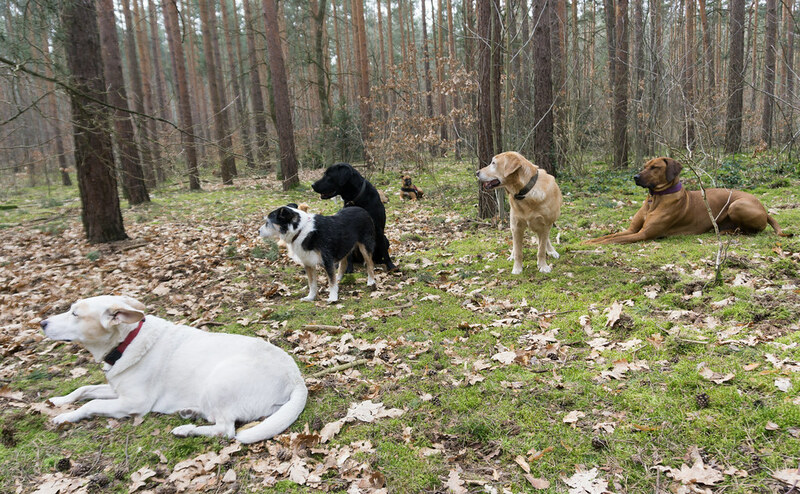 I observed how dogs with individual personalities work together in a pack, saw a sneak peek into the dynamics of a dog pack, and saw how their leader, Thomas, can take control. Dogs Nibbling on Treats Placed on the Tree. My Airbnb Experience in Grunewald Forest in Berlin, Germany, March 6, 2018. 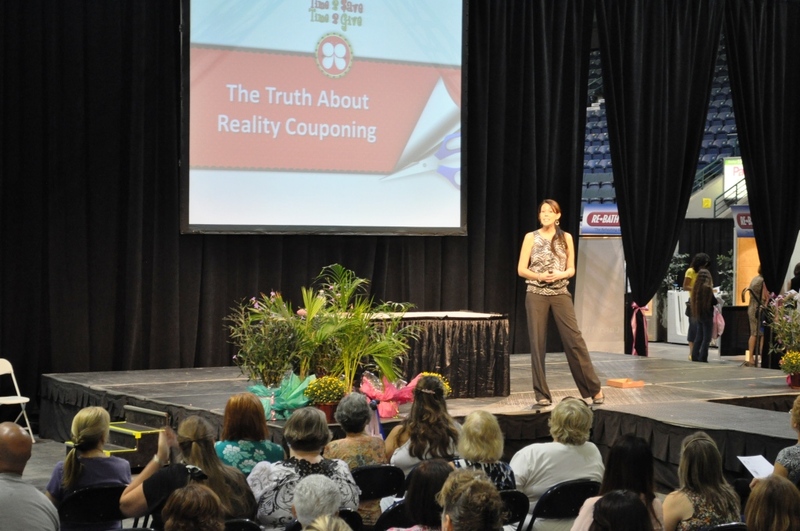 In addition to the entertainment value, I learned during this experience, not only to communicate with my own dog and other canines, but the importance of communication with other people. On top of that, the experience reminded me of a time when I went with my friend when she was walking her new pup for the very first time. She was little and so scared that we had to go back within two minutes. So she decided that it might be best to put her in a dog stroller for the time being so that she has a chance to get used to being in very different and new surroundings. She looked around for the best dog stroller and found one quite quickly. Having a stroller really helped her dog gain so much confidence. There are loads of things that you can get for your dog to help them with their confidence when you take them for a walk. Some dogs don’t need anything, others might feel more comfortable on a walk if they’re wearing a waterproof dog coat for example (if this is something that you are interested in learning more about you could Visit the Jug Dog website here). This trip to Berlin was the first time I have used any Airbnb product and this Airbnb Experience was excellent and before leaving Germany I have been telling people how amazing it is. If/when I return to Berlin, I hope to take the walk with Thomas and his pack again. 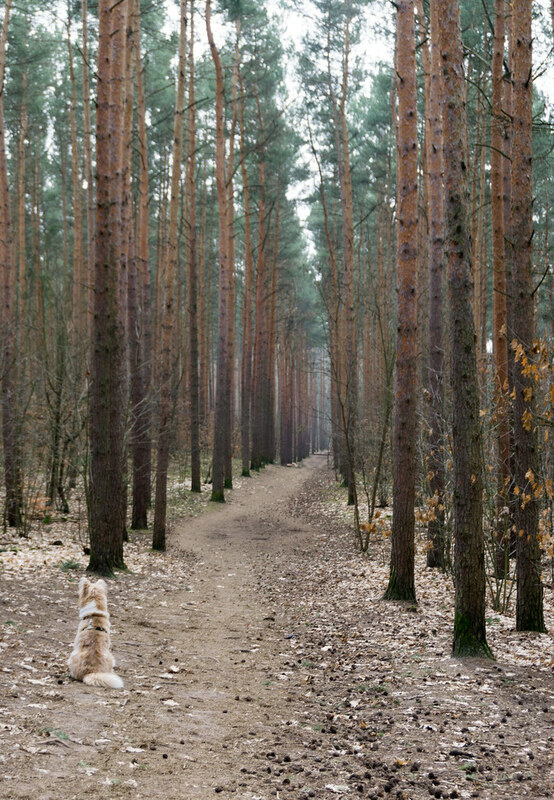 And if you are looking for things to do in Berlin, consider joining Thomas for a walk in the woods. Sidebar: As a solo traveler, I rarely take photos of myself taking part in activities, other than a selfie here or there. I am very appreciative Thomas snapped photos during the experience not only of the dogs but of me enjoying my time with the dogs. 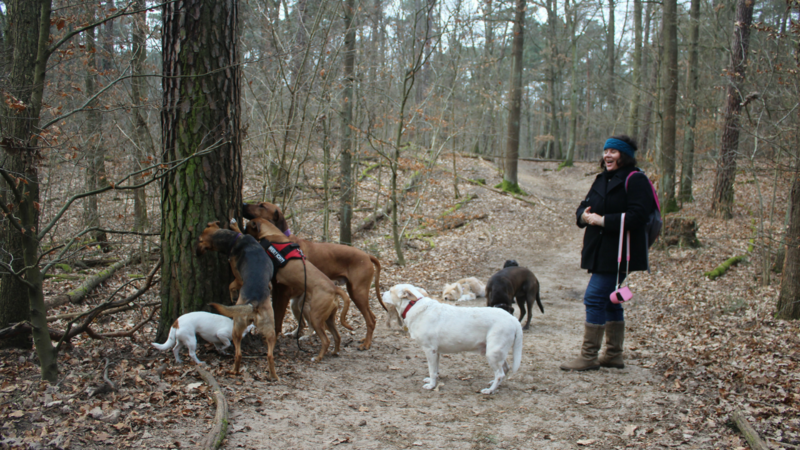 Interested in booking a walk with Berlin’s dog-whisperer? Check out Airbnb. View more photos of the Berlin Dog Whisperer Experience on Flickr.